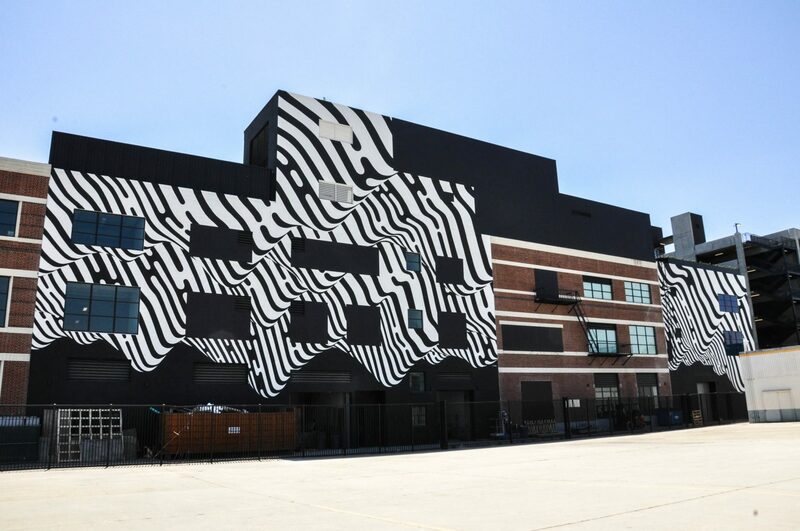 LeBasse Projects recently completed the newest mural addition to the Los Angeles’ Arts District with an installation from artist Brendan Monroe. 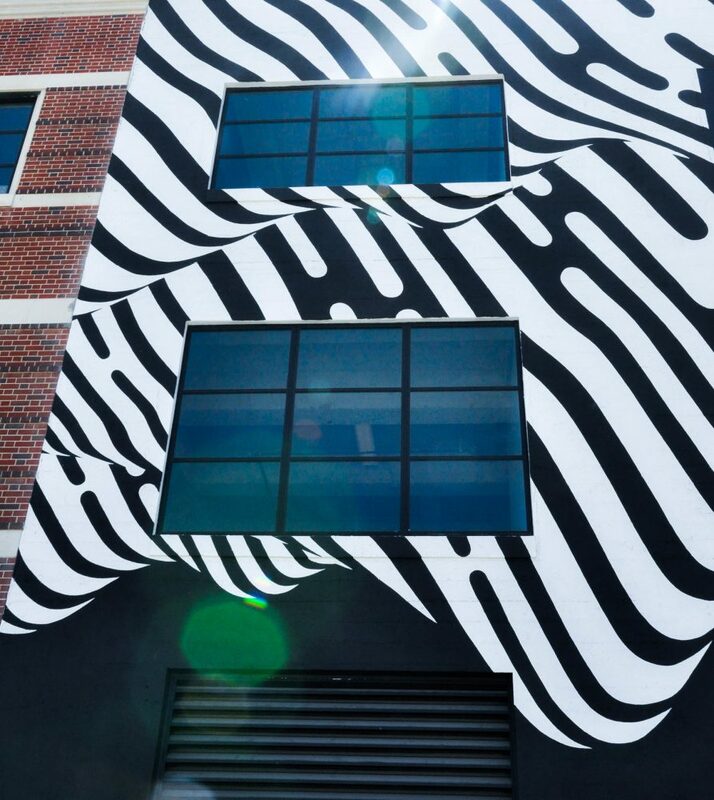 As part of the redevelopment of the Coca-Cola Plant by Hudson Pacific Properties, the mural by Monroe has already created an entirely new feel to the building facing the main strip of Traction Ave, at the heart of the arts District. 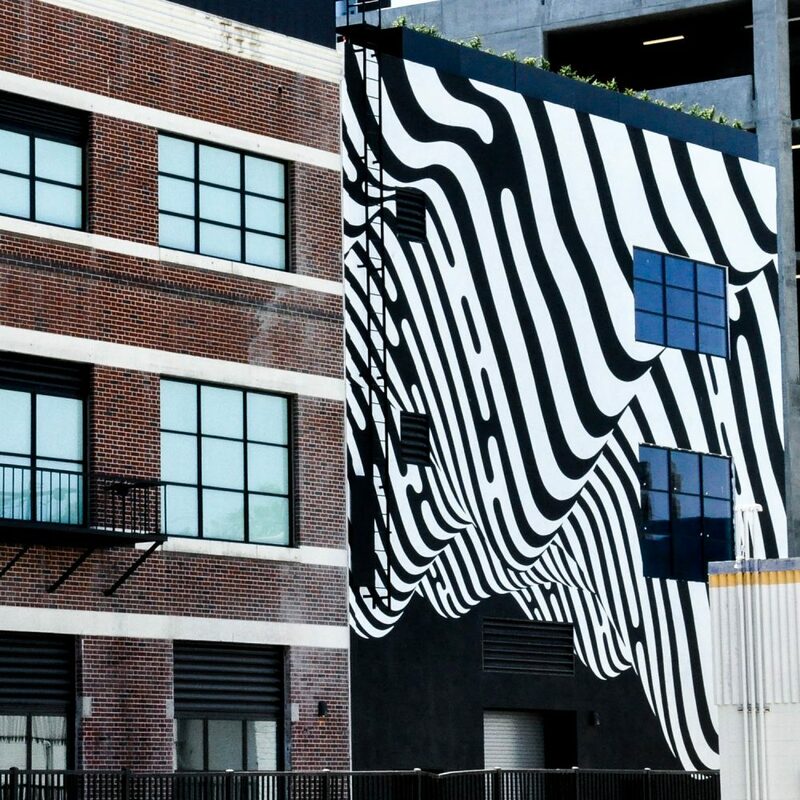 The murals clean aesthetic and well designed reflection of the Los Angeles hills helps continue to redefine what public art can be, as the new mixed use development will redefine the creative office experience. LA based Brendan Monroe is well known for his clean and contemporary designs, paintings and sculptures. Expanding his mural series, the project at the Coca Cola Building is his largest mural to date.